Just discovered that PRISM and The Crossing were featured on a December episode of New Sounds with John Schaefer on WNYC. Music by Gavin Bryars, Roshanne Etezady, and Huang Ruo. Have a listen to the podcast! https://www.newsounds.org/story/3873-music-bryars-crossing-prism-quartet/ 4 days 22 hours ago. Today at 3 PM, PRISM's Matthew Levy and composer/pianist Uri Caine are guests on WMBR's New Edge Program with host Ken Field to discuss the Quartet's new release, "The Book of Days." Listen online at https://www.wmbr.org/ or at 88.1 FM if you're in the Cambridge, MA area. 5 days 20 hours ago. ANNOUNCING PRISM Quartet's Residency at Temple University, April 25-26. CALLING ALL SAXOPHONISTS: all residency activities are free and open to saxophonists from throughout the region. https://mailchi.mp/prismquartet/temple?e=[UNIQID] 1 week 5 days ago. PRISM Quartet updated their cover photo. 2 weeks 5 days ago. VIDEO RELEASE of WAVEGUIDE MODEL I: One of PRISM's most adventurous projects, with music by Dan Trueman and interactive video environment by Mark DeChiazza, co-presented with Drexel Westphal College of Media Arts & Design. Special thanks to our principal funder, The Pew Center for Arts & Heritage. 1 month 4 days ago. The PRISM Quartet celebrates Dutch “avant pop” composer JacobTV (a.k.a. Jacob Ter Veldhuis, b. 1951) on their newest Innova disc. 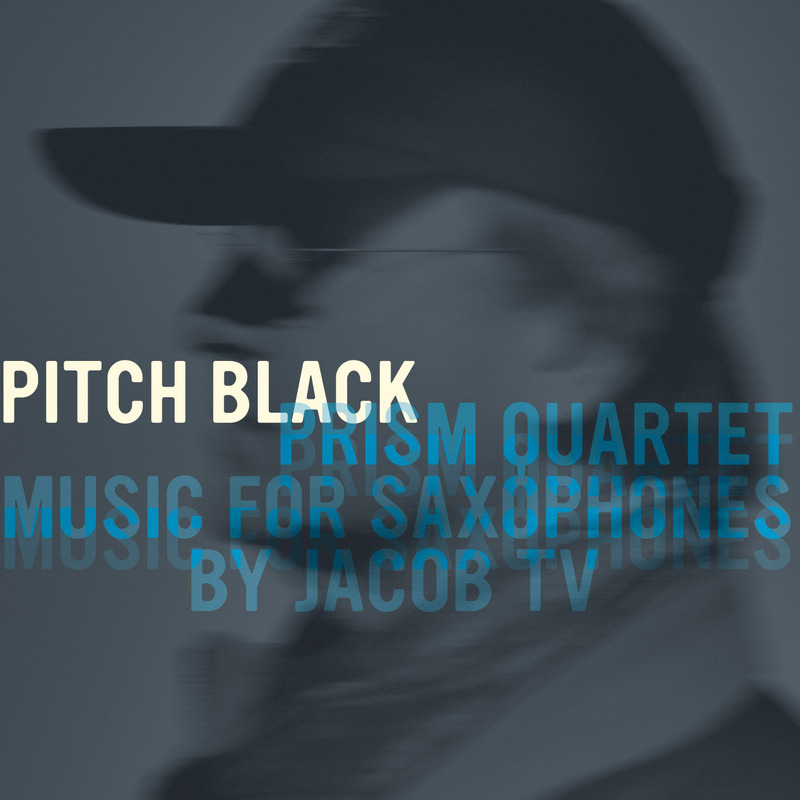 Scored for saxophone and ghettoblaster, the music on “Pitch Black” features spoken word by jazz icons Billie Holiday and Chet Baker, death row inmates, and religious fanatics in Times Square. TV started as a rock musician and studied composition and electronic music at the Groningen Conservatoire, where he was awarded the Dutch Composition Prize in 1980. Preoccupied with American media and apocalyptic moralism, he makes superb use of electronics in compositions that combine ex- plosive strength and raw energy with intricate architectural design. The title track alludes to Chet Baker’s description of the prison cell he occupied in 1962. The saxophone quartet accompanies excerpts from an interview conducted shortly before his death. “Billie,” for alto saxophone and ghettoblaster, samples many interviews given by the singer and highlights the unusual mu- sicality of her everyday speech. The somber quartet “Postnuclear Winterscenario No.10” addresses “speechlessness about war and devastation.” In contrast, “Grab It!” is a fast- paced duet between tenor saxophone and ghettoblaster that explores profound emotional contrast among men on death row. “The Garden of Love,” for ghettoblaster and soprano sax, is composed around a reading of the poem by William Blake. The final track, “Jesus is Coming,” for saxophone quartet and ghet- toblaster, juxtaposes recordings of an angry street evangelist and a Salvation Army choir with rhythmic patterns based on baby talk. “Pitch Black” forms the soundtrack to a multimedia production of the same name that PRISM developed with Philadelphia’s Miro Dance Theater. In this evening-length performance, the city’s energy and sounds, from traffic patterns to playground games, fuel a search for human connection amid the hustle. Pitch Black is a most unique CD. There is nothing else like it, anywhere. The Prism Quartet does a phenomenal job and this is one impressive group of saxophonists proving there are no limitations.